Roz Zollinger has an international reputation for her therapeutic work and instruction in Reflexology and Aromatherapy, and has 20 years’ experience in the practice and teaching of these modalities. In 1992 Roz founded the Heal Center, Atlanta, which has since gained a national reputation for its therapeutic services and instruction. The center currently has nine practitioners and offers a full range of natural therapies. 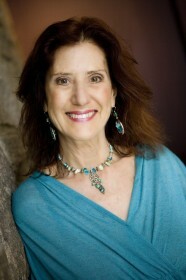 Roz teaches various courses and workshops at the Heal Center and lectures at regional and national conferences. She has developed the BodySystems Method of Reflexology and Aromatherapy, which stresses the interaction of all bodily systems and addresses the physical, emotional and spiritual well-being of the individual. Roz offers consultations and treatments using Reflexology and Aromatherapy, and is available as a teacher for public lectures and training programs. As a Licensed Massage therapist I develop unique and effective treatments focusing on relieving pain, correcting postural imbalances, and promoting relaxation. I address pain cycles common in ailments such as sciatica, muscle pain and injuries, Fibromyalgia, ‘frozen shoulder’, and TMJ, etc. I specialize in neuromuscular therapy, clinical sports massage and related techniques, structural integration, deep tissue and swedish massage. Learn more about these techniques here. I am committed to understanding my client’s needs on a deeper level. The combination of my skill as a therapist, experience working with medical professionals and compassion allows me to create unique treatment plans for my clients. My background and training have allowed me to work with a wide array of clients, including those that are dealing with the ailments of everyday postural stress, to musicians, dancers and athletes suffering from repetitive stress injuries, rehabilitation and athletic performance concerns. I am a graduate of the Academy of Somatic Healing Arts (ASHA) 900 hour program, member of AMTA, and I am state and nationally licensed and insured. When not working I enjoy spending time exploring the world, from a 3 year old’s perspective, with my 3 year old son, Ethan. I completed a Bachelor of Music from the Cincinnati Conservatory of Music.